Celebrating Mi Cumpleaños en Mexico!!! Take That, Take That AT BURNING MAN!! 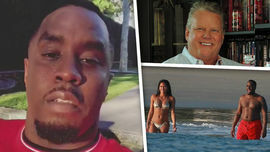 Diddy Sources Say Cassie Betrayed Him By Sleeping with Trainer!